In 1967, Larry Gottheim started the Cinema Department at Binghamton University which was the first regular undergraduate program that dealt with cinema as a personal art. Considering the theme of nature in art and functions of racial, cultural and personal identity, Gottheim’s practice explores the ways in which time, movement, and becoming are bound up in a complex relation between formal cinematic patterns and pro-filmic subjects. From his late-1960s series of sublime "single-shot" films to the dense sound/image constructs of the mid-1970s and after, his cinema is the cinema of presence, of observation, and of deep conscious engagement. 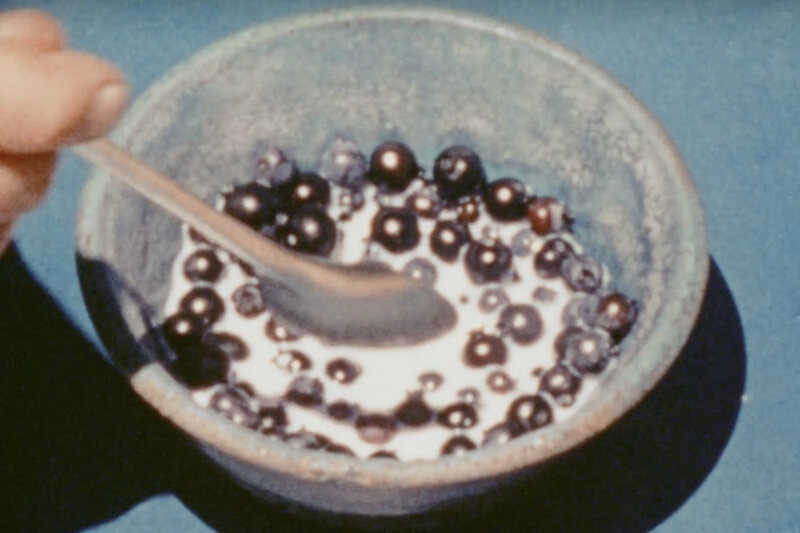 This programme draws links between Larry Gottheim’s new work Knot/Not and his earliest films. It is composed of works by Larry Gottheim, and films that had a significant impact on Gottheim’s practice. All of these films were made during the early years of the Binghamton Cinema Department, and all were made by his close friends and colleagues. The ultimate aim of the programme is to locate the red thread that connects Larry’s newest work to his oldest. We’re thrilled to present the UK premiere of Knot/Not, as well as digitally re-mastered versions of Corn and The Red Thread. Larry Gottheim will be in attendance at all screenings to introduce and discuss his work. Many thanks to LUX, whose continual support made this programme possible. Similarly, many thanks to Dan Barnett, Peter Kubelka, and Vincent Grenier for their kindness and generosity. Programmed by Larry Gottheim and Chris Dymond. "The history of space, the place of mystery, the mystery of trace, the space of history." – Larry Gottheim. A cosmic voyage into hidden knowledge. One shot, early summer in Mendocino. Song, All My Life, by Ella Fitzgerald with Tedd Wilson and his orchestra. A serene winterscape glides, as in a dream, across the screen, from darkness to darkness…Vision shivers, hesitates ever so slightly to savour, to hold still, but inevitably everything passes. Far becomes near, near far. Shadows seed their counterparts in the depths of the viewer’s heart. As a voluptuous lemon is devoured by the same light that reveals it, its image passes from the spatial rhetoric of illusion into the spatial grammar of the graphic arts.